The skills of college students have helped Melton Mowbray Cricket Club to renovate their pavilion. Brooksby Melton College Level 1 and 2 joinery students created and delivered four new doors and frames, one new window, three sets of shutters and three benches for their All England Sports Ground clubhouse. 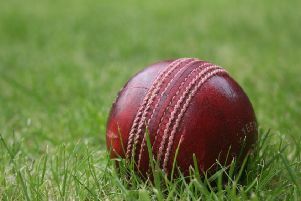 Melton was the first club to benefit from the project, funded by Jewsons, which saw BMC students help revitalise local cricket clubs, in partnership with the English Cricket Board. Their students also made a notice board and picnic bench for Newton Linford CC, two benches for Kegworth CC and another two benches for Electricity Sports CC’s ground. To mark the completion of the work, joinery students were invited to the club where chairman Jamie Culy presented them with a cricket ball and bat as well as five tool bags as thanks for their help. Laura Joyce, of Leicestershire and Rutland Cricket Board, believes the work would have taken the club years to complete without thir help. She said: “The free support offered by Brooksby Melton College joinery department in helping the club to improve its facilities is invaluable.